Anti-wrinkle injections & fillers are the perfect anti-ageing solution for anyone concerned about fine lines, unwanted facial expression, and deep creases or for anyone wanting to prevent lines from occurring. Cosmetic treatments are tailored to suit individual needs and involve the latest techniques, products and methods to ensure you are comfortable and well informed before commencing treatment. 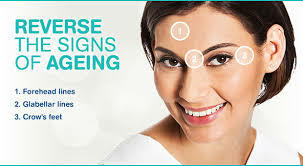 The price per unit of anti-wrinkle injection varies between $10-$12. Please note that there is no Medicare rebate for this service. For more information about Cosmetic Medicine treatments or to discuss your options, please call reception on 9736 1444 and book a no obligation free consult.